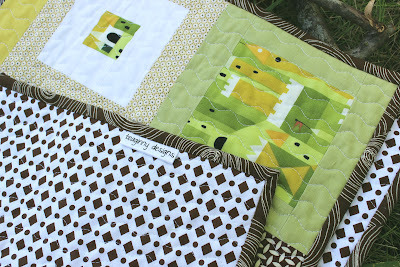 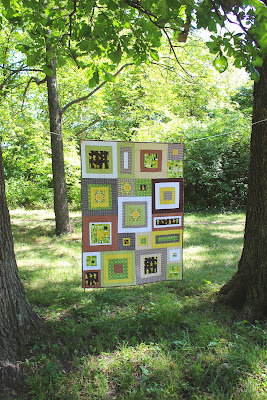 I finally hand stitched the last few inches of binding on my Aerial Grove quilt this morning. 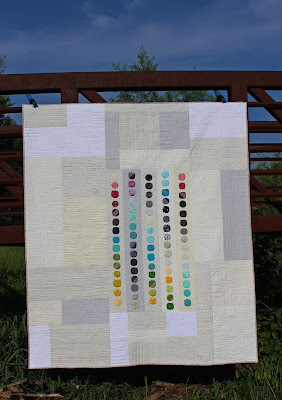 I have put so, so many hours of work and love into this quilt, from the hand applique to the intense improv quilting. I'm happy to say I'm keeping it! 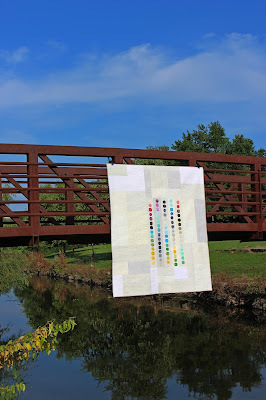 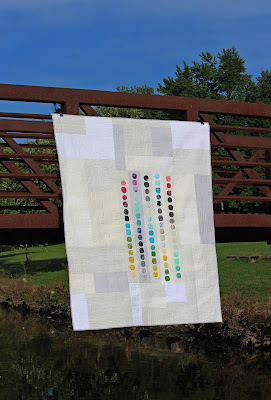 You can read more about the early stages of making this quilt here, where I wrote about my infatuation with this pattern from Carolyn Friedlander's book, Savor Each Stitch. 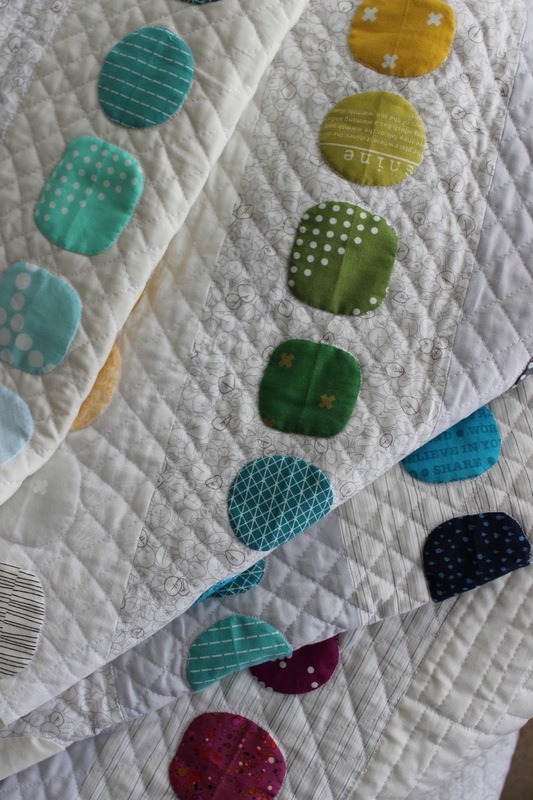 My favorite part of making this quilt is also my favorite feature in the finished quilt: creating the color gradation in the hand appliqued squircles (squarish circles). 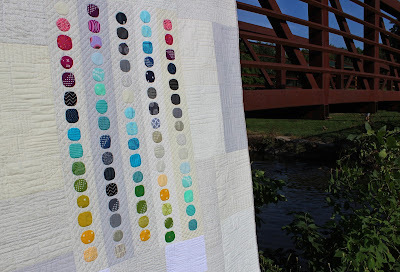 Varying the value of the fabrics in each gradation makes the design fade in and out and complicates the simple rows of shapes, especially from a distance. 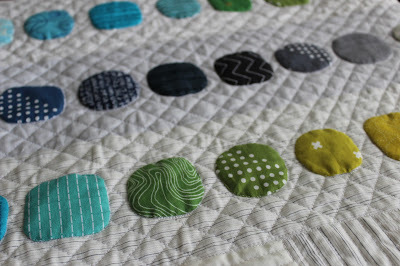 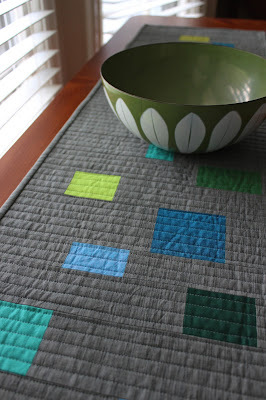 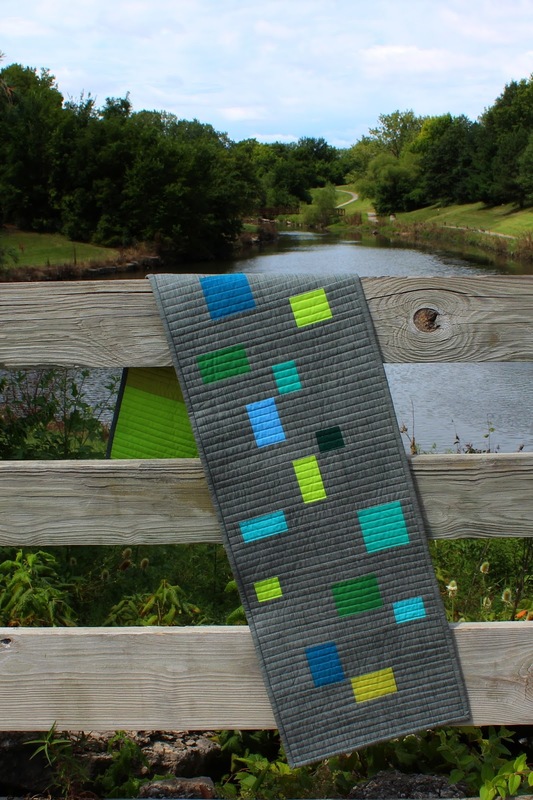 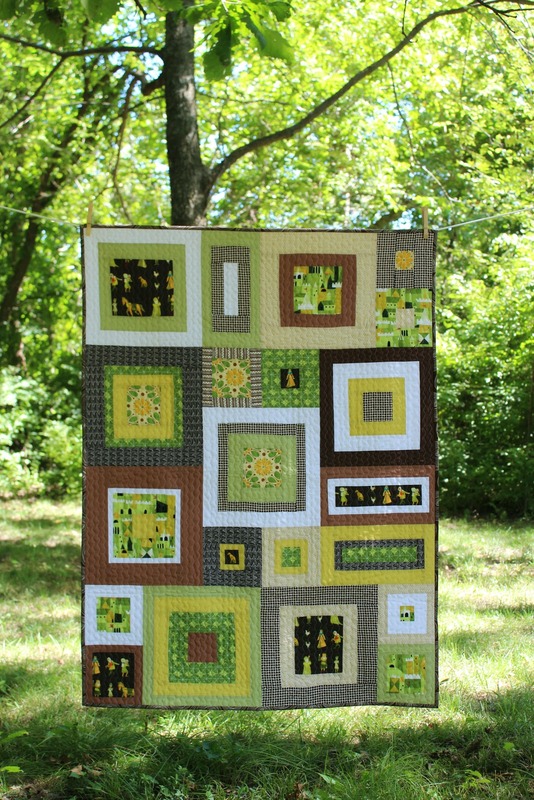 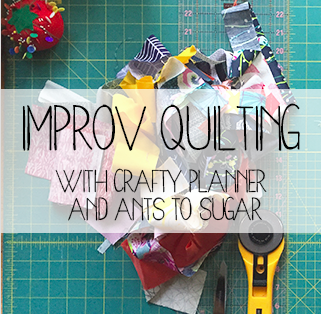 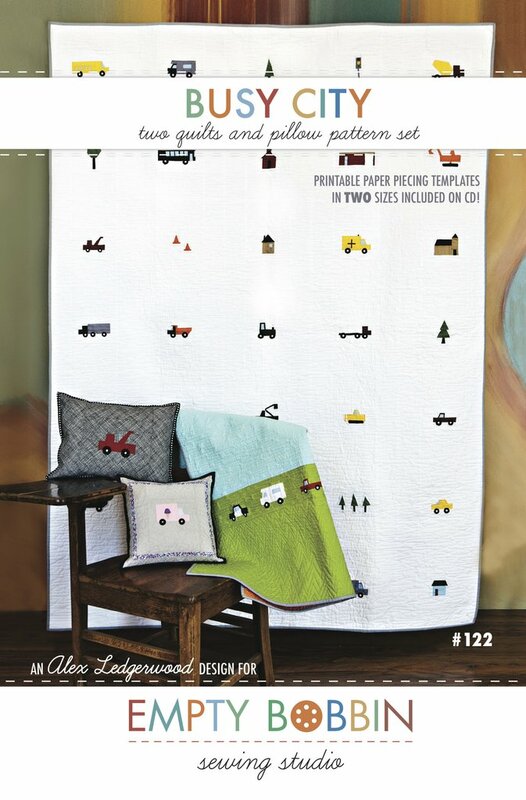 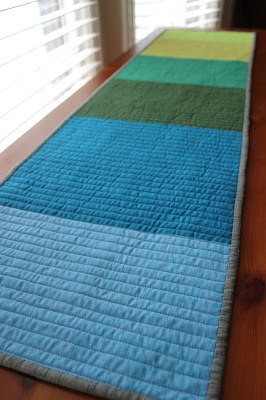 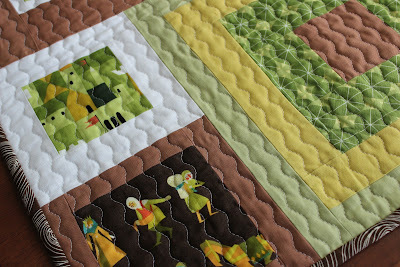 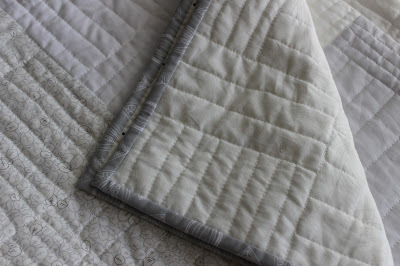 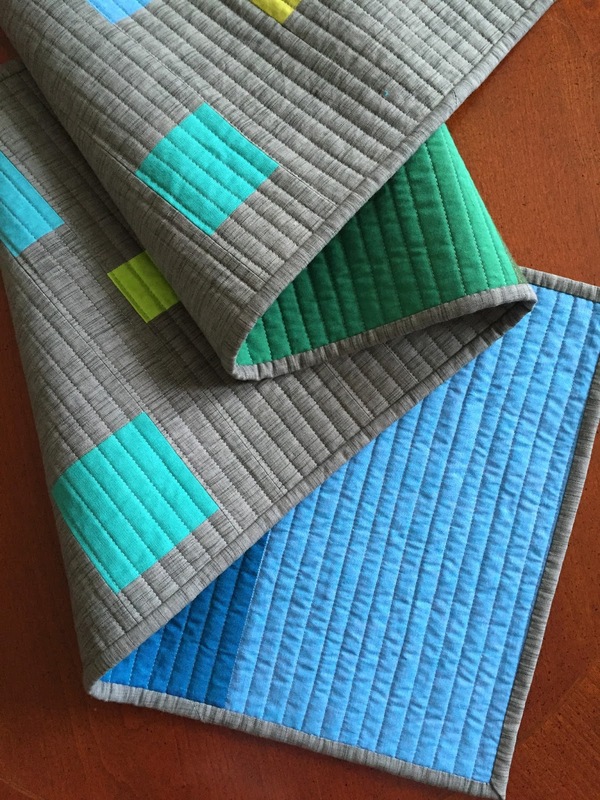 The most challenging part of making the quilt was actually the quilting. 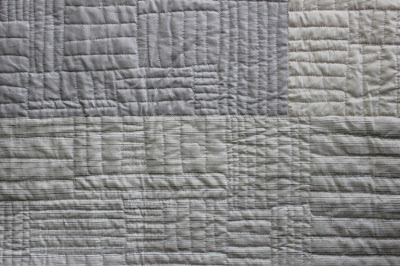 I wanted to create an organic crosshatch around the squirlces, leaving them to puff out a bit, rather than quilting over top of them. In order to avoid stopping and starting at the edge of each applique shape as I would need to do with a walking foot, I used my free motion foot to simply quilt around each one and continue the line on the other side. 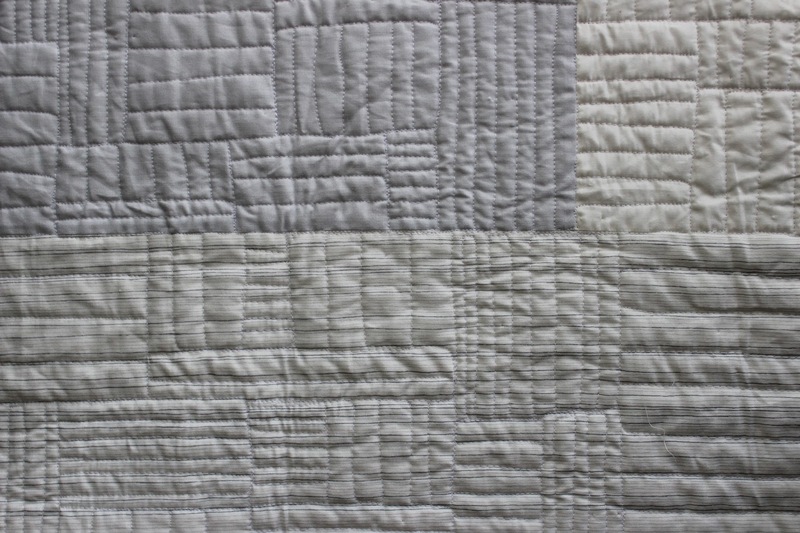 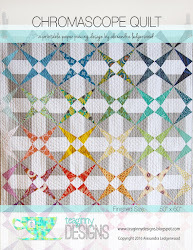 As you can imagine on a large quilt, this made my crosshatch quite wonky indeed, but since the whole aesthetic of this quilt is improvisational and organic, I'm not unhappy with it at all. 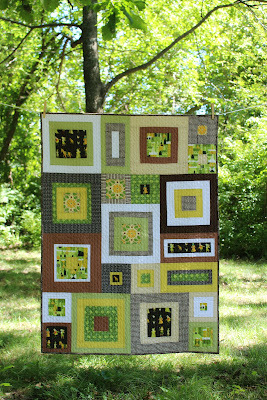 Quilting the neutral sections of the quilt was also challenging as I continued to try to create straight-ish lines with the free motion foot to make rows and columns of various sizes, meant to be reminiscent of gardens or fields as seen from above, much like Carolyn's original quilt. 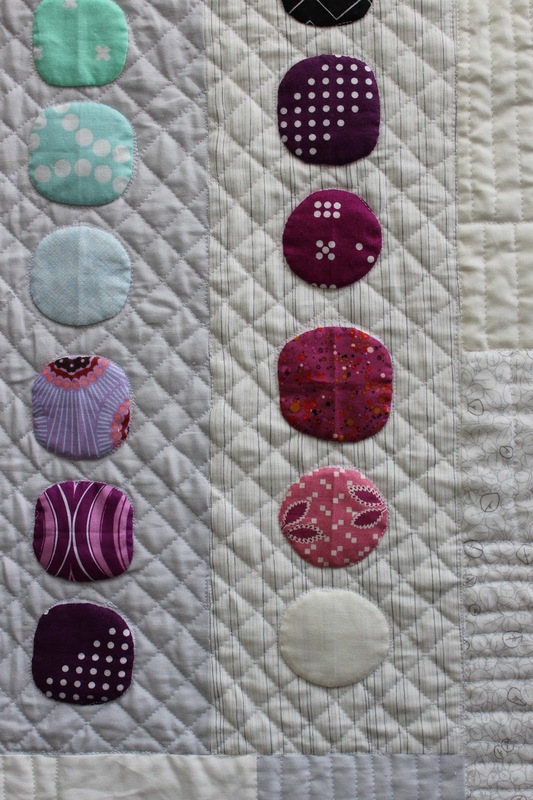 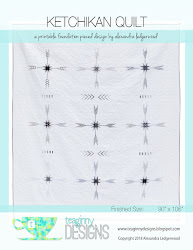 This pattern is my favorite kind: general directions and thorough instructions of technique, together with plenty of ways to make it your own.